Honor your pets who have passed, but still hold a place in your heart. 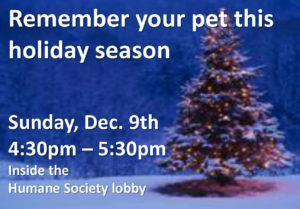 Our Ceremony will remember these special pets that have meant so much. Join us as we celebrate the joy that they provided us. 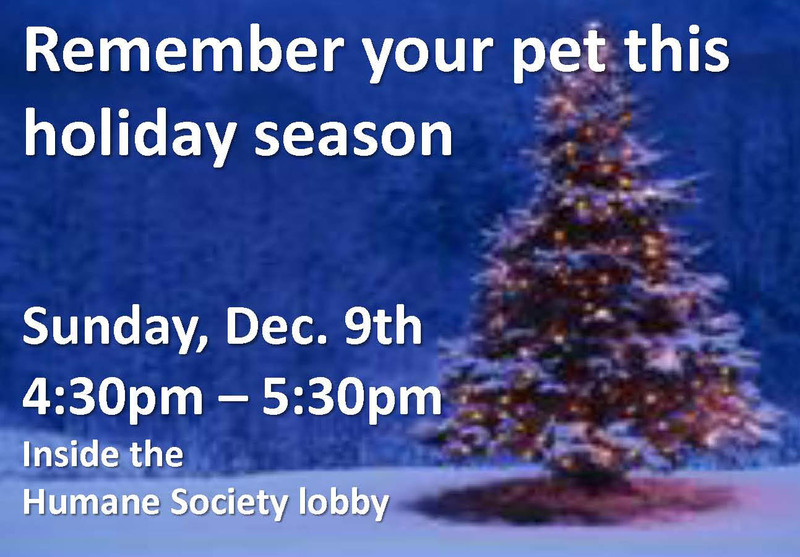 For $20 you will get a personalized ornament to place on our tree and/or take home, and have your pet’s name mentioned during our tree lighting ceremony. Join us for hot chocolate and sweets before the ceremony.